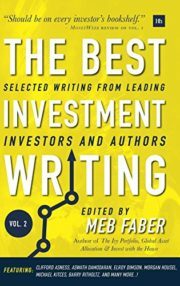 We likened The Best Investment Writing – Volume 1 to a masters course in investing. The second your of the program begins now, with The Best Investment Writing – Volume 2. See how it can help you become a better investor today.